Jake Owen at Nebraskaland Days! 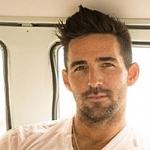 Jake Owen and Kane Brown will headline the 2019 US Cellular Summer Jam Concert Series in 2019. Owen will lead off on Friday, June 21st, with Brown closing Nebraska’s Official State Celebration on Saturday, June 22nd. Owen has had seven number 1 singles to date, including his latest, “I Was Jack (You Were Diane)”. His other six number ones include the 2X PLATINUM anthem “Barefoot Blue Jean Night,” PLATINUM-certified hits “Beachin’,” “Anywhere with You,” “Alone with You,” “The One That Got Away,” and, GOLD-certified “American Country Love Song.” Owen’s fifth studio album, AMERICAN LOVE, debuted at No. 1 on Billboard’s Top Country Albums chart and No. 4 on the Billboard 200 all-genre chart. Most recently, Owen signed a new label deal with Big Loud Records, reuniting him with award-winning producer Joey Moi.